One of the best parts about blogging for me is that my parents read each and every post. My father takes a look at the content only, while my mom is my chief proofreader. During my early years of blogging I always posted each post to my personal Facebook page and emailed my parents a live link. It was at this time my mom got sick of all of the spelling and grammatical errors so she emphatically stated that I must send her each post to proof before posting. The early lesson for me here was that it is always good to have another set of eyes look over your blog posts before you make them public. This however is not the purpose or point of my post. In one sense I want to thank my parents for all that they have done for my and my brothers over the years. Knowing that I have their attention with each post, it makes some sense to use this medium to convey my heartfelt admiration for their job as parents. On the other hand, I really want to focus on what my parents taught me about leadership throughout my 41 years of life. After a recent keynote presentation I was reflecting on the fact that I hadn’t spoken to them upon returning from Turkey a few days earlier. It must have been the perfect storm of just finishing talking about leadership and guilt that provided the motivation for this post. Here is some context before I detail what I learned about leadership from my parents. I grew up in a very rural area of Northwestern NJ. Growing up here led to a great appreciation of the outdoors and participation in many different sports. My father was an elementary school principal at Alpha Public School and Hatchery Hill School for a total of 30 years. I have always been proud of following in my father’s footsteps. Once I became a principal myself I only hoped to be a fraction of the leader he was. My mom was an elementary teacher for 27 years, the last 18 spent teaching at Francis A. Desmares School in Flemington, NJ. Her passion for always finding the best in all of her students still sticks with me to this day even in my new role. Celebrate what matters: You would not have known it in my household, but both my parents were award-winning educators. I only found out about this at both of their retirement dinners. My father even testified to congress on a few occasions. To them their success was a testament to the people they worked with and most importantly their students. They taught me that it was extremely important to celebrate the work of others and what goes on in schools. This is why I empower other leaders to become the storyteller-in-chief. Organization and time management: As kids my brothers and I were empowered to take responsibility over our learning. To this end my parents ensured that we studied and managed our time appropriately. Not only did these lessons save me in college, they also positively impacted my productivity as a principal. Timeliness – Unless I missed something, my parents were never late to work. Being present and on time for my job as well as at meetings and events really sends a positive message. Money Matters – My dad was all over me even as a young adult about creating a personal budget in order to manage my finances. I learned more about money management and budgeting from him than I did any course I ever took. This knowledge was then applied as a principal when I had to create and present an annual budget for my school. In my opinion this was one of my strengths. Putting students first – During our childhood my mom put her career on hold in order to stay home with me and my brothers. She encouraged my wife to do the same stating that you will never get this time back. This lesson taught me to always put my students first and to create a school culture that did the same. In education we have the unique opportunity to positively impact the life of a child every day. This is an opportunity not to be squandered. Everything we do in education is for our students. Modeling – I often talk about the need for leaders to model the expectations that they have for others. My parents imparted this lesson to me from birth. Their example and actions were always impacted to teach me to be a better student and person. It was their modeling of the importance of character and integrity that probably had the most impact on me. Don't ask others to do things that your yourself are not willing to do. Most importantly, be a leader of action. Shared sacrifice – Nothing epitomizes servant leadership than shared sacrifice. It was apparent that my parents were only concerned with our well-being. They never splurged on expensive cars, elaborate trips, or a large home. Instead, they put all their effort and finances into our education and trying their best to teach us how to be good people. As leaders we must make certain sacrifices in order to initiate and sustain change. It is also understood that our main role is to serve our key stakeholders if transformation is the ultimate goal. Sacrifice also involves making difficult decisions. Remember that leadership is not a popularity contest. Work Hard for Everything – My parents didn’t give me or my brother’s any handouts besides our college education, which they sacrificed greatly for. The expectation was to commit to a goal, follow-through, and learn from mistakes. This lesson helped me to be more motivated intrinsically to succeed as opposed to extrinsically. I have seen the most impact in this area by taking control of my learning through the formation of a Personal Learning Network (PLN). I live by this Chinese proverb, "The person who says it can't be done shouldn't interrupt the person doing it." Work hard and success typically follows. There is nothing more important than family – At every family wedding my father does a toast. In his short speech he says that there is nothing more important than family. Leaders understand that their school or district is a family. From a professional perspective nothing else is more important and this is why we do the work we do. Empathy – All throughout my childhood my parents taught me how to be empathetic. They did not tolerate the use of hurtful language or bullying of any kind. Their kindness and generosity to others and us is still apparent to this day. This lesson taught me to identify and understand the situation, feelings, and motives of others before rushing to judgment, decision, or regrettable action. Am I still working on this – definitely! 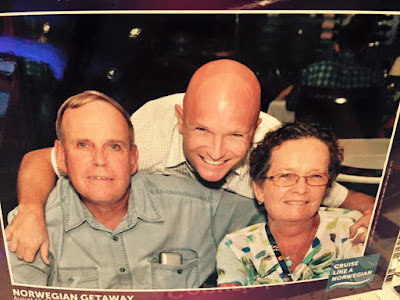 This is a much longer post than what I typically write, which shows you how much I have learned about leadership not from a book, class, or my Personal Learning Network, but from my parents. I could go on and on. However, a fitting close to this post is quite simply a thank you. Thank you mom and dad for all you did and continue to do to teach me what leadership is all about. I love both of you so much! 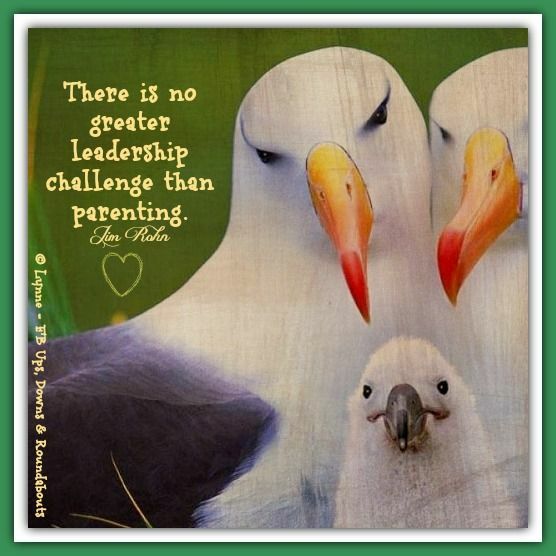 What have your parents or family members taught you about leadership? I would love to hear your thoughts. Please share in the comments below. Great post Eric. My parents were also great role models and thought me much of the same leadership values mentioned in this post. Glad the post resonated with you Joel. Thank you so much for sharing, Eric. Ive been a former (?) teacher, manager, and always a leader in some way, shape or form. So much of who I am has been developed and nurtured by the love and examples of my parents, teachers, managers, and role models. People are constantly observing others and learning from each other. We glean qualities we admire and vow to avoid those we do not appreciate. We are constantly growing and evolving. My parents are constantly surprised by things I remember from earlier days. As Mahatma Ghandi said so wisely, "My life is my message". Seems like your parents had a profound impact on your as well Ann. Thanks for sharing! Happy Monday and your pics from being a great dad on FB (at the Father Daughter dance) show the torch has been passed to you. My Dad led the Police Benevolent Association in North Jersey years ago. He was always so genuine with people and built relationships for the good of the community. He inspired me. Great post. Building relationships is a great leadership lesson indeed. Eric, thanks for sharing your insight. Your parents must be very proud to have their son but such a prominent leader through following his passions. Having great role models and high expectations are certainly two keys to success in life. Great post and very reflective. Important to note how parents impact our views and actions as leaders. I would say my mother taught me how to never give up, my father the value of hard work, my brother how to believe in myself, and my sister how to use my creativity to help others. Thabls for sharing and wanting to hear about ours. Be well! Great blog, Eric. Your respect and deep love for your parents shines throughout. I learned many of these same things from my parents. I also want to add I learned to follow through with things. Whether it be a commitment or promise you make or even when dealing with correcting children at home or in the classroom. When you take on a responsibility you follow through to the end. When correcting children make sure the "punishment" fits the "crime"…I get so aggravated by people who tell their kids they're grounds for months (or worse the insanity of "you'r grounded for the rest of your life") only to give in after a few days. It's unrealistic to think you can follow through with such extremes. It also breakdown the respect between parent/child or teacher/student. React with guidance to correct mistakes and with penalties that are not outrageous. This is something my parents did and I've been able to do at home and work. I'm also lucky my children had some great educators to guide them towards success! You bring up some fabulous points Susan. Having had the pleasure of working with both your kids while principal at New Milford HS I can attest to the great job you and your husband did. Both of your children had impeccable character and I am confident that the leadership lessons you taught them will further their success. Highly enjoyable read, Eric. If I'm open and forthcoming I must admit that in many ways I learned what not to do from my parents. As a young man I often told myself, I would do it differently or I'll never treat people that way. I believed I didn't have to be my parents. Maybe that's why I try to empower and inspire students from troubled homes to create the future they want...not the one they see or feel destined to live. It's no surprise that you came from a stable, strong home. It has helped mold you into the man/leader you are. Your post was a reminder that the parenting gap in our society is huge. Don't get me wrong, I enjoyed your post, but it did stir up some memories and thoughts. As always, I appreciate the post. You hit on two very important leadership lessons - honesty and courage. Thank you for your honest reflection on this post and courage to share what you learned, even from negative experiences. It is unfortunate the many of the lessons you learned evolved from situations that empowered you to do things differently. I for one learned many of these "what not to do" leadership lessons from many of my bosses as a practicing administrator. Based upon what I see from you as a leader and father you are imparting priceless lessons that your students and kids will emulate. Really great reflection, Eric. I grew up working in my dad's restaurant and although at the time I really didn't love doing it, I now wouldn't change it for the world. Seeing the way my dad interacted with customers was a special thing. Even when things were so crazy busy, my dad would have a smile on his face and had the best attitude. He always knew what to say to make you see the bright side of things. It really taught me how to handle when things don't go as planned and especially with change. He takes things in stride, is level headed, hard working, honest, reliable, positive...I basically gained a masters in work ethics 101 by working there with him. :) Even going to a Bears game and they'd be losing, he'd say the right thing to help you see the reason. All of these things I can honestly say have been engrained in me and have made me the person and educator I am today. Even though I'm not in an administration role, my role as a coach thrives on leadership skills at times depending on my task at hand. And what I've learned from my dad carried through in how I am with people today. Loved reflecting about this because I'm talking about two things I love so much; my dad and my work. Thanks, Eric. When you write, it really shows that what you say comes from your heart and that there is great care in that. We're lucky to have leaders like you in the world.